Standard Safety Vests, from TrafFix Devices, are non ANSI/ISEA compliant and come in a variety of styles and colors to meet your safety needs. All poncho style vests are manufactured from a lightweight mesh material with Velcro closures, no pockets, and come in Regular and Extra Large+ sizes. 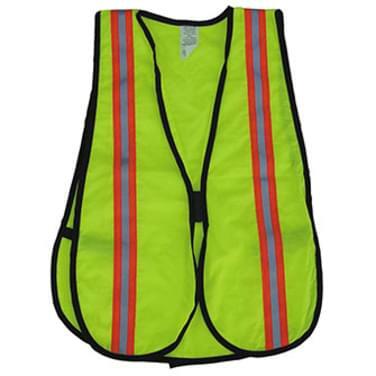 Orange Non-Complaint mesh safety vest with two (2) ¾ vertical lime reflective stripes. This poncho style vest is manufactured from a very lightweight mesh material with a front Velcro closure to ensure proper fit. 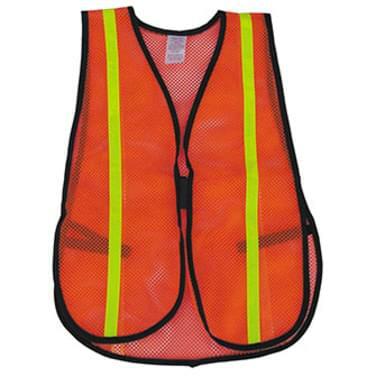 Lime Non-Complaint mesh safety vest with two (2) 1½ vertical red/silver/red reflective triple stripes. This poncho style vest is manufactured from a very lightweight mesh material with a front Velcro closure to ensure proper fit.